Following the productive quarterly committee meeting – with much ground covered on ramping up our SA Legion membership benefits (soon to be announced!) – some committee members proceeded to the quarterly social thereafter. 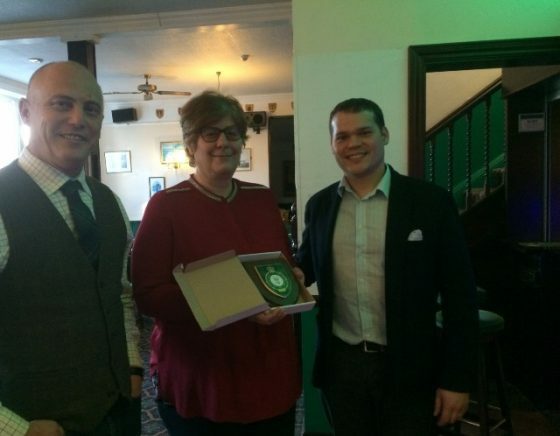 During the social the SAL Chair & Vice Chair presented the Royal British Legion Putney Club with the SA Legion shield, which were told will be hanging proudly on their wall the next time we visit! Note: The venue for this social was the RBL Putney Club (first time we have had an event here). Going forward, after every quarterly committee meeting a social will be planned, with each social being unique… whether it be a new venue or some sort of exciting activity planned (raffle, sporting match- Springboks, Proteas etc or even a short course in first aid or unarmed combat, followed by drinks!). Remember to monitor the SAL events page to stay up to date with all the exciting events we have lined up for the next year.